If you need have been tasked with finding security for your construction or building site, you are going to look for and find hundreds of security companies claiming to be the best and the "most competitively priced", and they are all telling the absolute truth, or are they? How do you get to be the best and offer the best rates? If you are looking for a manned security guard, either one, two guards or man and dog, then choose a company that has a bullet proof way of ensuring that the manned guard is actually 1) Physically on site and 2) Actually doing there patrols. If they haven't got a way of ensuring this, I wish you all the best. Trust your guards, yes - but verify. Unfortunately even the brightest, well presented, most punctual people (and guards) do very silly things. Successful construction security is basically presence and vigilance, without that you can have 10 guards sleeping or even awake in a portacabin while the tools, boilers, coppers is being ripped out of your site, causing you, whether you are the main or subcontractor no end of grief. Yes, there are other factors which make for good construction security, uniforms, punctuallity a robust screening and vetting, further training, which are still important, but will not necessarily foil or stop a robbery. If you want security you can rely on, call us or complete a form and we will tell you excalty what we will do and what it will cost. We have customers that have consistently used our service whenever they require contruction security. Our approach, works, simple. Security Guard Dogs are the highest deterent for any construction project. Construction security guard dogs are able to deter attempts of crime before a breach of the building site perimeter, but, the guard dog actuall has to be doing the patrol - the question you should ask any construction security company you are thinking of choosing, is how are they going to do this?. We offer a nationwide construction security guard dogs service. 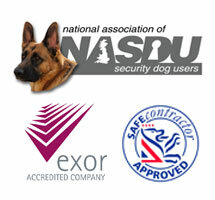 Our specialist K9 Units are trained to the Uk standards and are accredited by NASUD or BIPDT. We offer continous training for complete work force so you can be assure that you a recieving not the best (as we would have not way of knowing this) but a good guard dog service. We can supply construction security guards to control the access to your construction site, we can ensure that everyone that is on your site is allowed to be on site using checklists or a portable ID card system. Regardless of the length of the project we can provide speciist constuction security guards with short notice. We can also arrange security portacabin, high visibility and personal protection equipment for not only our guards but for your visitors on the site. Our construction security guards can work closely with your health and safety officer, and ensure that all measures are taken to manage risk, we keep accurate reports of vistors, fire roll to ensure that we pu, not only the security of your site in the forefront of our guards minds but also the safety of everyone that is on site - we can also supply security guards that have completed a four day HSE first aid course to act as your on site first aider. For more information about our constructuion and site security please contact us. 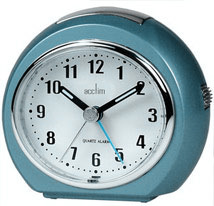 These systems are usually suited for large construction sites. We handle the complete install from site survey, erection of cameras and installing software. We can set up the cameras so that the can be accessed over the internet.